It's not just a house, It's Your DOMAINE. Which is why every home we create--from the urban core to the forested hills and rolling suburbs surrounding our beautiful city of Nashville--is hand crafted, thoughtfully designed, and purposefully constructed. We're not just building any house, we're crafting your Domaine, where your life story is ready to be told. 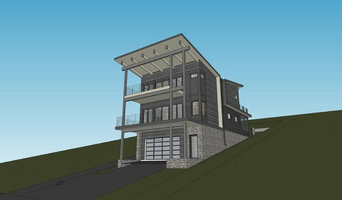 Domaine Development is a leading boutique developer of fine residential properties in and around Nashville, Tennessee. As part of the Domaine Group, which services a variety of real estate needs from development to marketing, sales, design, construction, and asset management, Domaine Development is focused on creating beautiful spaces that enable streamlined, modern function yet honor historical integrity and the vernacular of their surroundings. We approach our work with the goal of creating economic value for our investors & partners, aesthetic value for our community, and a truly special place to call home for our customers. 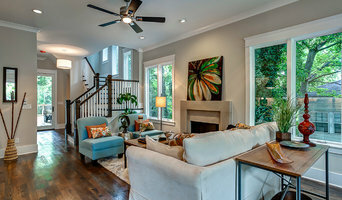 Increasing home values in Middle Tennessee. 30 years of experience, FREE estimates and always on time. New Frontier Tiny Homes intends to drive the evolution of the tiny house movement by designing and building beautiful, custom tiny homes. We use only the finest materials and highest standards of craftsmanship to execute our original designs. We’re inspired by your stories and hope to help fulfill your dreams. With over 40 years of building and design experience and hundreds of full-scale homes completed, we bring a unique perspective to the challenges and opportunities of tiny houses. Our goal is to help improve lives by supporting economic freedom, intentional living, and sustainability. We believe that great design and quality housing should be affordable and attainable. Landmark Homes has been delivering quality homes to Customers in the Nashville area for 20 years and stands behind each and every home we build. Come and experience the Landmark Difference today and work with a builder that truly understands your needs. Exoterra strives to serve our clients by providing sustainable architecture and consulting services that promote the development of sustainable sites integrally linked to creative human environments that minimize waste and water use, maximize energy efficiency, promote healthy indoor environments and utilize environmentally preferable materials and technologies wisely. J. Mark West, AIA, LEED AP, Principal founded Exoterra in January of 2008 to address a well defined void in green building services and to create a business model not hampered by traditional barriers and expectations of typical architectural practices. After nearly 15 years of working for multiple companies in two states, and after leading three different project teams through the certification of three LEED commercial building projects, it became evident that the only way to continue to promote green building and related services was to create a company solely focused on accomplishing just that. 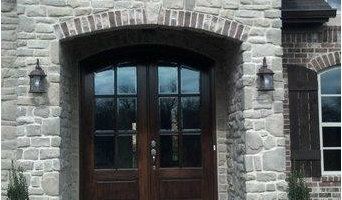 Since 2010, Tanner Rollins has been providing custom construction services all over Nashville. Having seen the full spectrum and dynamics of this great city, he puts an emphasis on serving others and listening to the needs of each client. Donnelly Timmons & Associates Inc.
Pioneer Log Systems is a manufacturer and distributor of custom log homes, timber frames, timber hybrid homes and architectural beams including trusses, mantels, brackets, and corbels. 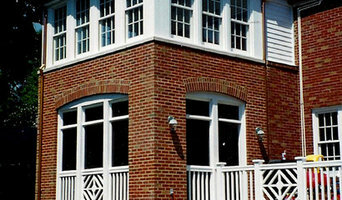 We work with homeowners, architects and contractors to provide what the job requires. We supply heavy timbers in Eastern white pine, Douglas fir, Western Red cedar, and cypress as well as reclaimed timbers. We offer many distressing and surfacing techniques such as hand hewn, custom planed, S4S, rough sawn and warehouse. At Pioneer Log Systems, Inc. we have over 30 years of quality and tradition in the Log Home and Timber Frame Home construction industry. Our commitment to excellence and customer satisfaction is the cornerstone of our success. 906 Studio.Architects is a boutique sized full-service architectural and interior design firm specializing in timeless architecture in both single family, multi-family and commercial architecture. We design buildings with the end user in mind, creating the most appealing, functional space within the clients budget constraints. We also believe in the value of timeless, quality design and the intrinsic value of an attention to detail in the delivery of each design. Michael Hathaway, AIA serves as the Principal/Managing Partner of 906 Studio.Architects, studying architecture at the University of Arkansas. For over 30 years, 20 of them in middle Tennessee, Michael Hathaway has worked to serve his clients through the creation of great design. Having established deep roots in the city of Franklin since making it his home in 2004, he is a member of the Historical Zoning Commission and chair of the Planning Commission. In 2014 he founded 906 Studio Architects with the aim of creating timeless architecture inspired in many ways by the traditional beauty to be found in the commercial and residential structures of Historic Downtown Franklin. We are your one stop shop for everything related to home remodel and Home Renovations as well as New Home Construction We'll complete the job in a timely and professional manner. Give us a call today! You have the vision for your new home, we bring it to life! Refined Homes was founded by Shea Terry and Jackson Holder with a specific vision in mind. Their goal is to provide a high level of both quality and professionalism to customers who value a beautiful finished project. Shea brings decades of construction experience to all of their projects. 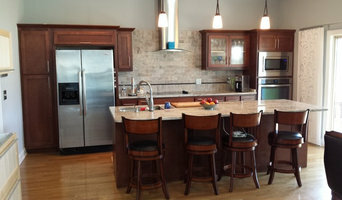 Prior to Refined Homes, he had extensive experience in both construction project management and high end custom tile. For years he completed tile work for some of Nashville’s top builders and contractors. He did this with a sharp eye for detail and a passion for perfection in all of his jobs. This is very obvious to Refined Homes’ customers when they see their finished projects. Jackson went to the University of Tennessee where he received both bachelors and masters degrees in engineering. After a five year civil service career with the Navy, he realized his passion was in building and construction. He worked his way up through tile as well, eventually working with Shea on many projects before they decided to partner in this new venture. He has an analytical mind with extensive experience in budgeting, planning, and scheduling.